I think my family has a right to feel that way. My dad died of pancreatic cancer at the age of 54 back in 1983. My twin brother died of a stroke at age 49 in 2004. My older brother died of lung cancer at age 54 in 2008. My oldest sister died of cancer at age 57 in 2009. Cancer has struck other members of my family as well. And now, it’s come ’round by our house. 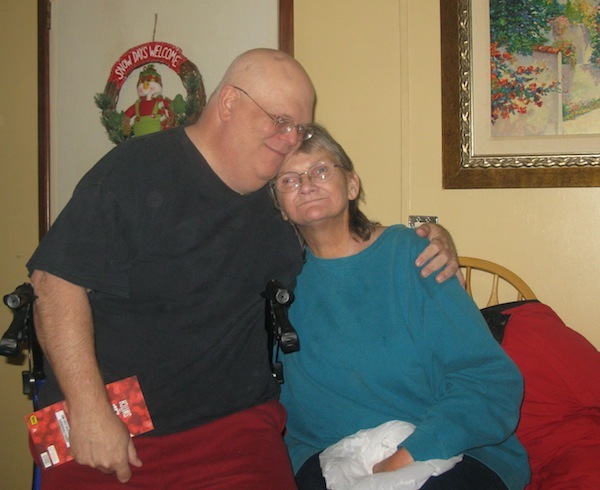 Dec. 24, 2011 -- Our final pre-cancer Christmas. Oh, she had the cancer. At least, she was already having the earache and sore throat. We just didn't know what it was.